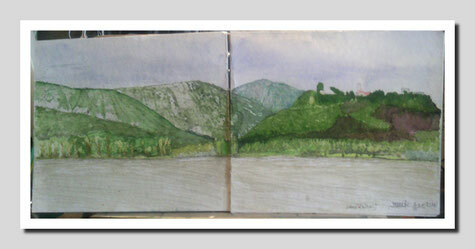 Lake Tribalj in Croatia , few days out with brush , paints and Sketchbook. 4-Day Carpfishing session and sketching Landscape . First work with the new Pan Palette from Mijello on the DIY Sketchbook ´s 300grm paper .